Open-plan and activity-based workspaces provide a collaborative and vibrant working environment, maximising return on expensive floor space. For productivity and well-being, staff sometimes need to make personal phone calls, engage in sensitive client conversations, or simply gather their thoughts - ideally without hiding in stairwells or tying up meeting rooms! Time to join the Quiet-Revolution. 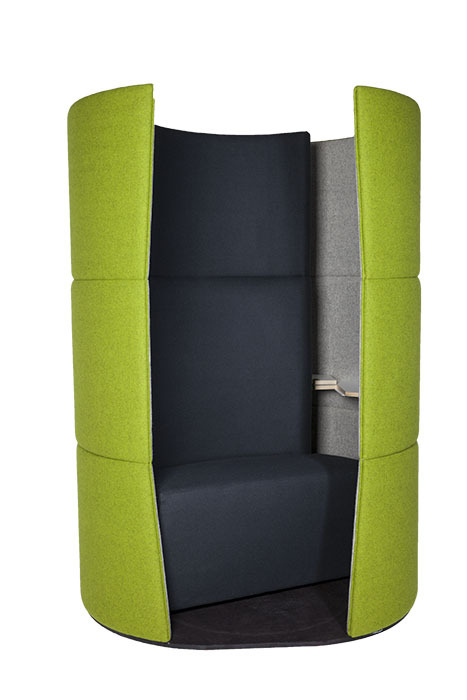 Quiet-Revolution has been specifically designed to allow the occupant to sit, spin and be completely enclosed. 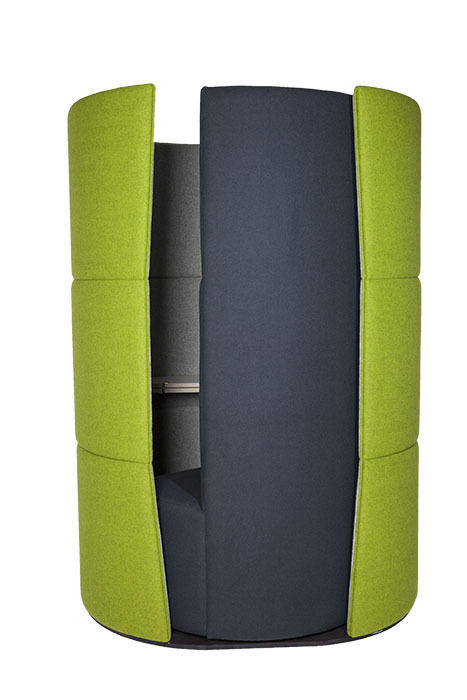 The stand-alone workspace capsule provides a private haven without taking up meeting rooms, or requiring specific fire and air-conditioning compliance. The mid-frequency acoustically-insulated walls provide a sense of being in the office but out of it also. 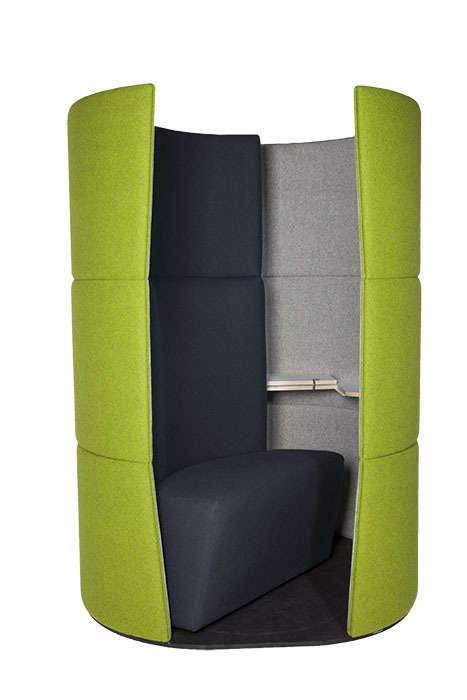 Installing Quiet-Revolution in key workspace areas is not only good for productivity, but respects and empathises with our greatest asset – our employees! 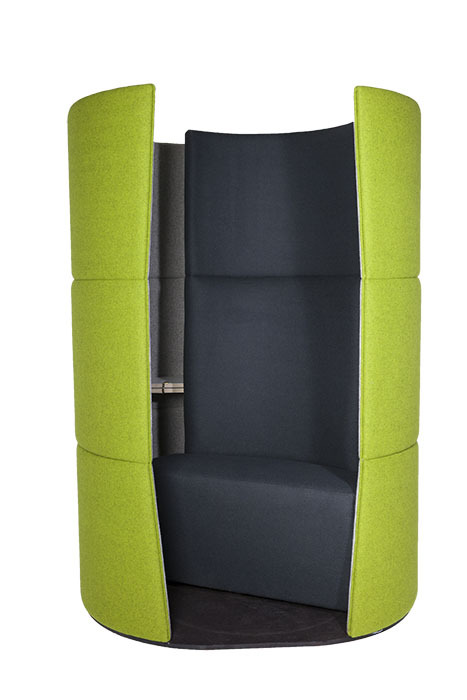 With well-being and productivity in mind, Quiet-Revolution provides a simple, contemporary and above all effective solution. Isn’t it time you entered the Quiet-Revolution? 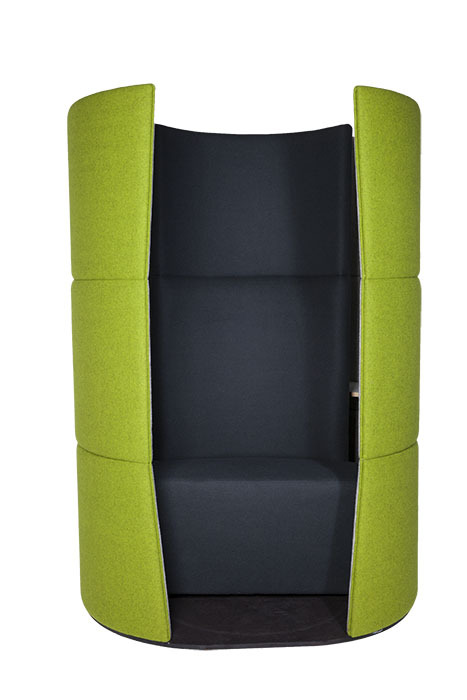 Quiet-Revolution is unique in that it completely encloses the user; providing 360° of privacy. 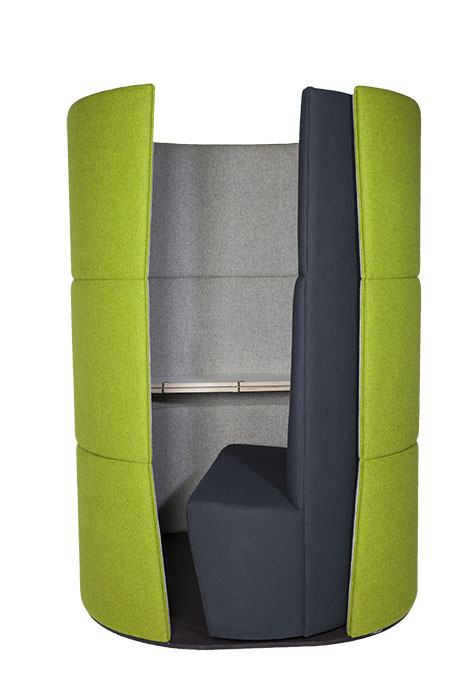 The insulated walls provide mid-frequency acoustic privacy to shield the occupant from being overheard in an open-plan workspace. 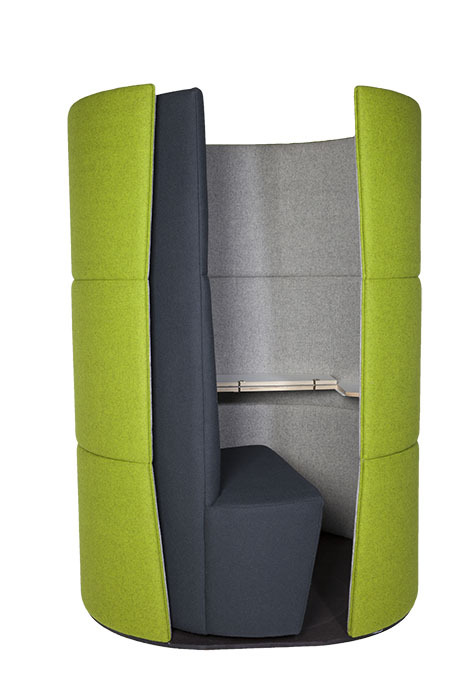 Whether for personal calls, or dealing with sensitive business matters, Quiet-Revolution provides a considerate working environment within the efficiency of open-plan workspaces - but can also empower staff to provide greater client privacy. The vibrant and engaging working environment of open-plan workspaces encourages collaboration and promotes interaction amongst staff. 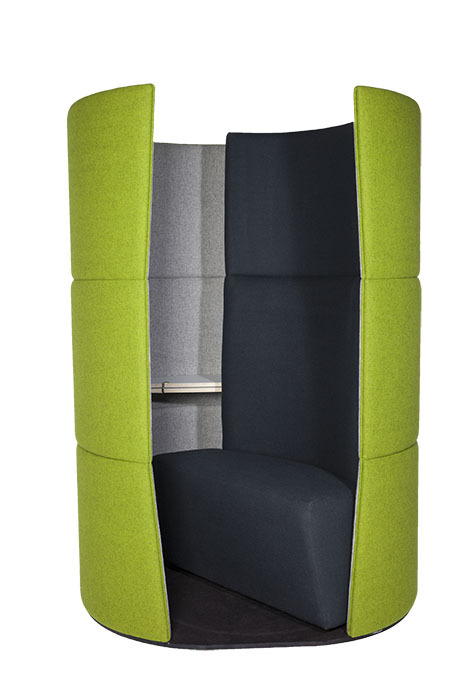 But sometimes certain projects require periods of quiet focus time and until now, this has usually resulted in valuable meeting spaces being taken up by a single person. 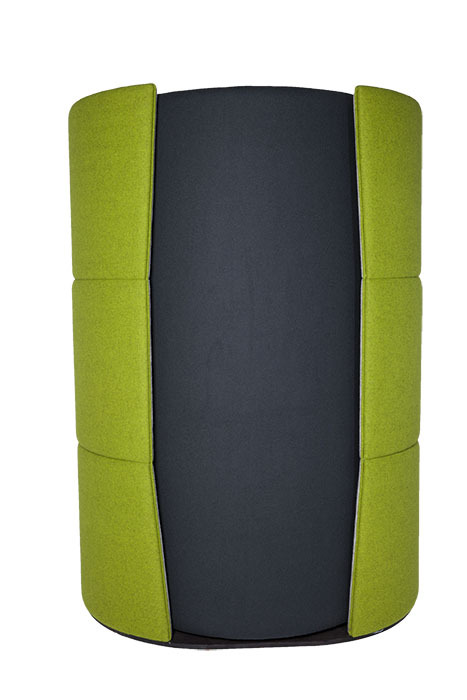 Quiet-Revolution’s mid-frequency acoustic dampening qualities all but remove ambient sound for the user, the insulated walls providing a sense of being in the office but out of it also. Employee well-being is essential for a productive organisation and helps attract and retain the best talent. The vibrant and interactive atmosphere of open-plan workspaces can also create distractions and stress at times. Staff sometimes need periods of focus where they can remove themselves from the office hubbub. 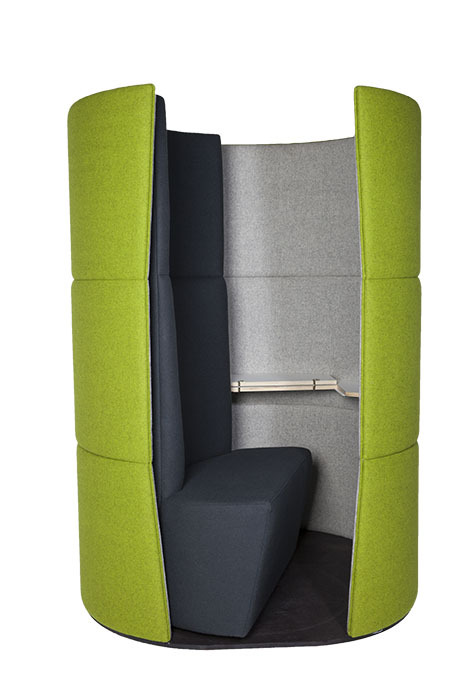 Quiet-Revolution emphasises and respects the needs of staff and provides balance, complimenting and improving the open-plan working environment. 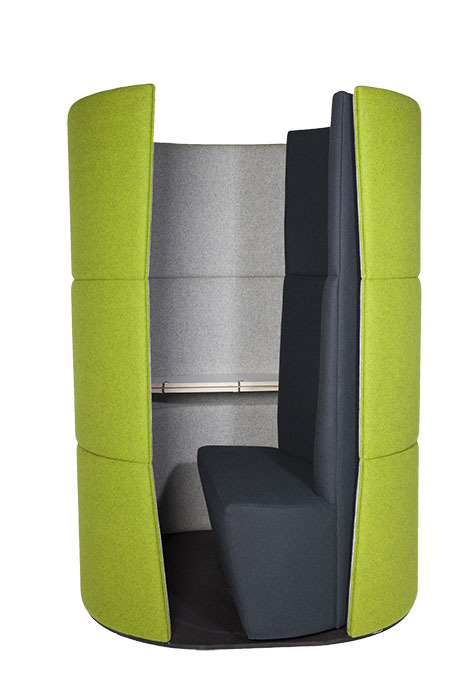 The Quiet-Revolution can be specified to include data and video-conferencing facilities, or a fold down desk for short to medium periods of focused work. 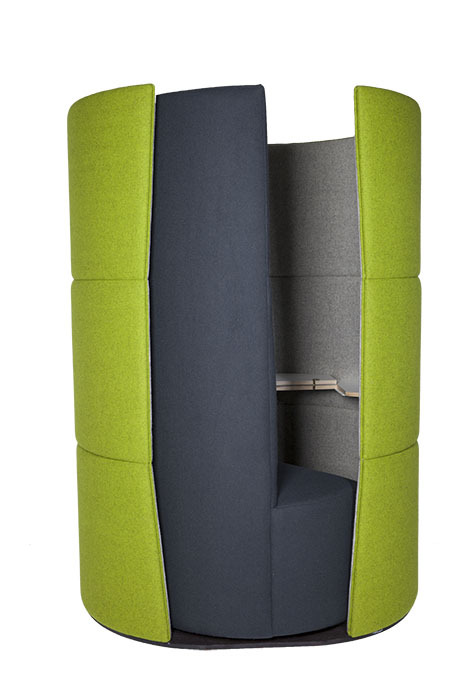 Whether finishing a big report or concentrating on an important video-conference, the Quiet-Revolution provides an escape from both undesirable and untimely distractions creating an environment for greater productivity and work quality. With Quiet-Revolution expensive real estate is not compromised, but can in fact improve the efficient use of your floor space. 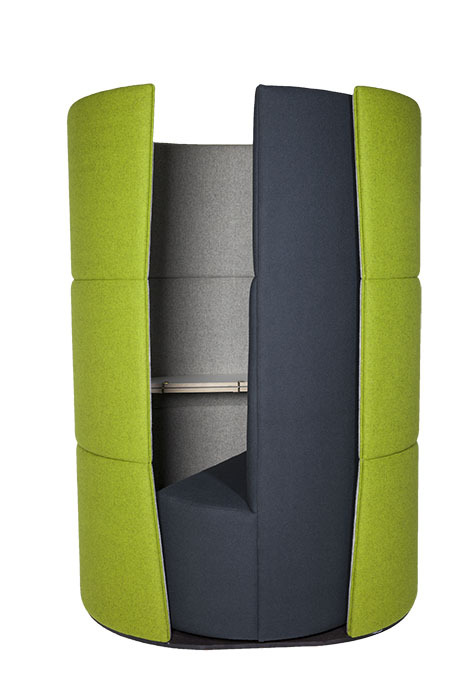 The capsule footprint can be as small as 1m2 and the bigger units represent more cost effective and efficient use of office floor place. Unlike fixed workspace areas, these moveable units do not require individual fire and air-conditioning compliance and can be taken with you should the business relocate – improving the useable lifetime of the asset. Quiet-Revolution is marketed by Infunc, based in Auckland, New Zealand. Our products are not inanimate; they are designed with interaction in mind. Our innovative products all adhere to strict ecological and socially-responsible production methods, are fun, beautifully designed and highly functional. We put the func in functional!